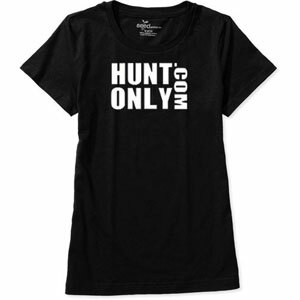 Hunt Only Mens' Short Sleeve Logo Shirt. 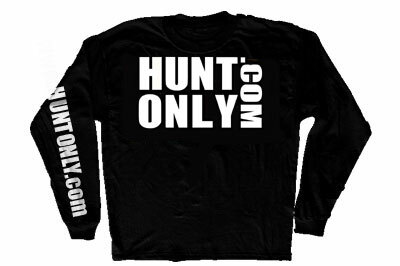 Long Sleeve Cotton Shirts with Full Logo on the Back and www.HUNTONLY.com Down the Left Sleeve. Front has white logo on left chest as well. SOLD OUT!! More Coming Soon!! Women's Black Short Sleeve Fitted Cotton Shirts with Full Logo on the Front.